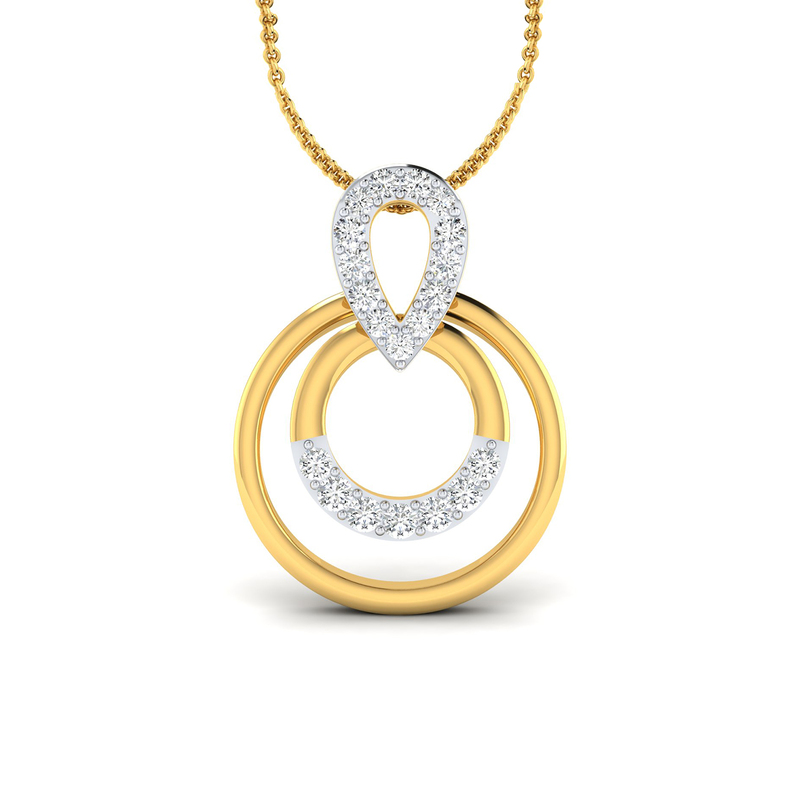 Hoops are the most favoured design amongst the fashionistas and this Coaxial Hoops Diamond Pendant is sure to strike a chord with them for its sleek finish and stylish pattern. In fact, the diamonds and the two-tone look and feel further adds to its beauty. Surely the next big thing in the market.